No, Mike Pence’s Website Wasn’t HackedIt’s an April Fools’ Day prank. 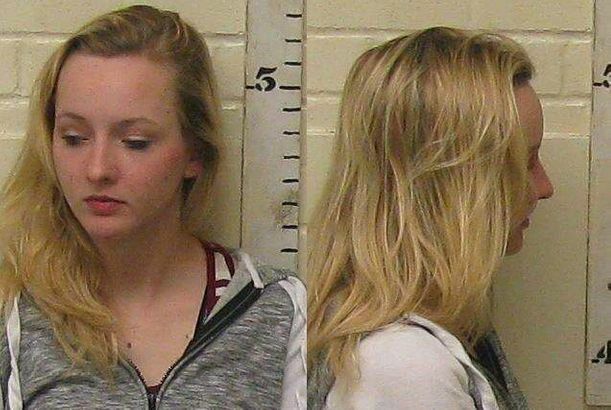 Teen Who Claimed She Was Abducted and Raped by 3 Black Men Made It All UpPolice say Breana Harmon Talbott lied about the alleged crime that caught the attention of many on the far right. The Fake Donald Trump Quote That Just Won’t DieThe ongoing hunt for mysterious, nonexistent footage suppressed by the media. Cormac McCarthy Still Alive at 82Despite what Twitter would have you believe. Mark Zuckerberg Is Our New Billionaire HoaxMark is giving away $4.5 million to regular people like you and me! It Is Incredibly Easy to Fake a Screenshot. Here’s HowTrust no one. Aaron Paul Is the Boy Who Cried Breaking Bad SpinoffHe was bored. That ‘Drunk Girl’ Viral Video Was a HoaxSurprise, surprise. Rantic Marketing: 4Chan Emma Watson Leak HoaxThe fatal flaw in the internet outrage economy. The Story of the 3-Boobed Lady Is As Fake As Her Third BoobSo disappointing. McDonald’s Tricked People With the Promise of Nonexistent Jobs for a LameThe whole zombie musical thing is fake, but that’s okay because McDonald’s Las Vegas is open 24 hours. Glee Actress Drama Too Closely Mirrors the ShowClearly. The Worst, Least Funny April Fools’ Day ‘Jokes’ on the InternetStop it. All of you. You’re not fooling anyone. Not-So-Stiffed Waitress Returning Donations [Updated]But that didn’t keep her from getting fired. New Jersey Waitress Also Didn’t Donate the Money She RaisedDayna Morales strikes again! How Five Shows Can Mine the ‘Diane in 7A’ Twitter Hoax StoryIt’s calling out to you, The Good Wife. Family Guy’s Brian Might Not Stay DeadNo way! New York Post Falls for Super-Old Internet HoaxA Chinese man probably did not sue his wife over an ugly kid. Golden Eagle Kid-Snatching Hoax Video Will Send Someone to CollegeIt generated enough AdSense revenue for a scholarship. Catfish Star Nev Schulman Knows What Manti Te’o Is Going ThroughHe’s also defending his own fame. Notre Dame: Te’o Didn’t Lie About GirlfriendHorrified athletic director explains “Catfishing” is all the rage. Runaway Teen Twitter Celeb Probably in NYCThe missing 16-year-old from New Jersey took the train toward Penn Station. ‘Missing’ New Jersey Teen Goes Viral With Fake Home Intruder TweetShe appears to have just run away. Prabal Gurung Is ‘Safe n Sound,’ EveryoneThe Global Associated News reported that he died in a car crash. Why We Were So Ready to Believe the ‘Gay Girl in Damascus’ HoaxAnd what it says about coverage of the Arab Spring.